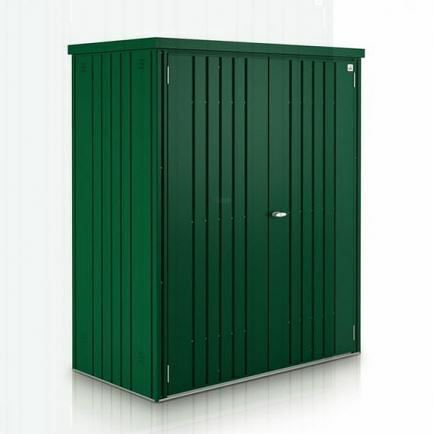 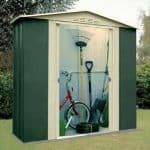 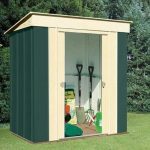 The BioHort Metal Equipment Locker is a high quality storage unit that is ideal for those looking for a secure place to keep tools and equipment, and is available in three colours: green, dark grey metallic, or silver metallic. 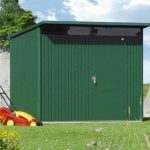 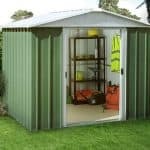 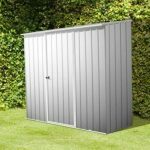 The hot-dipped galvanised steel side walls ensure the equipment locker is of sturdy construction, whilst the twist grip cylinder lock provides added peace of mind when it comes to security. 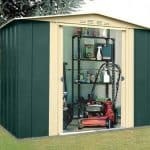 This storage unit is fairly compact in size, but with an integrated storage system that includes a wide variety of shelves, hooks, long-handled tool hangers, it provides excellent features for ample storage.